I miss my weekly TV Guide, it is getting harder and harder to find in the stores. Oh, of course I use the online one, but it just isn't the same! 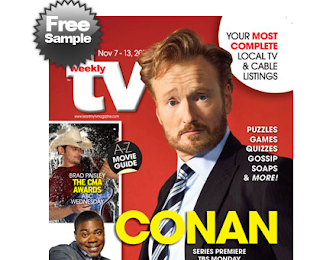 TV Weekly Magazine is offering you one free issue of their magazine.